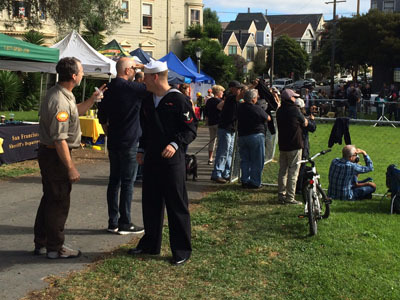 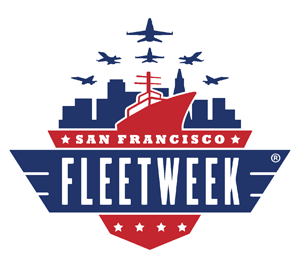 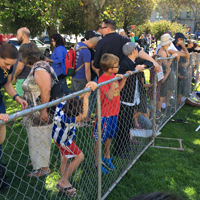 October 8, 2016 was a busy day in Duboce Park, starting with our monthly volunteer day from 10 a.m., followed by Fleet Week’s annual Bark at the Park: K9 Heroes at 11 a.m., and ending with our Outdoor Movie Night at 7:30 p.m. 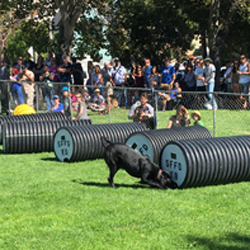 Using the lower section of the Dog Play Area for two hours, handlers showed working canines in action. 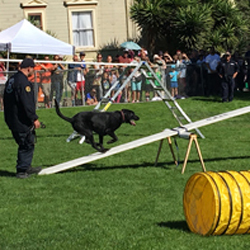 Dogs from the San Francisco Police Dept., the San Francisco Fire Dept., U.S. Customs and Border Patrol, U.S. Marine Corp, Department of Homeland Security, and Canine Companions for Independence. 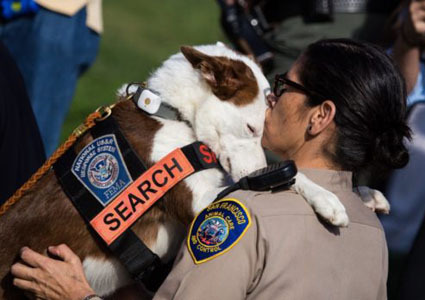 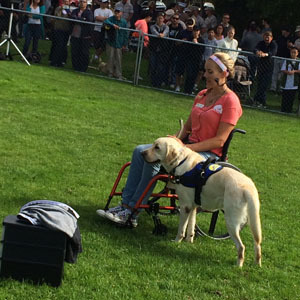 They showed that they were than just patrol dogs by demonstrating a few search and rescues, climbing ladders, matching humans to their scent, sniffing out explosives, and showing how they make everyday tasks easier for their owners with access and functional needs.